We believe being healthy should be the norm, so we produce the highest quality essential oils to help. See why over six million people use them. Essential oils have been around for centuries, and have been used to support every system of the body. However, not all are the same quality. Most retail oils are a synthetic fragrance, because that's cheap to produce and profitable. ​Another scam is diluting oils, which is kind of like stealing your money. Oils can also be easily adulterated with other substances, which can cause more issues than you started with. Be leery of claims like, "therapeutic grade", "quality guaranteed", and "tested by a third party". To be safe, AVOID retail stores, and do NOT buy oils on Amazon!!! Do you own the farms? Can I visit your farms? Do you use pesticides and other chemicals on your fields? Can I visit your distillery? Can I talk with your quality scientist in person? Can I walk through your customer service call center, and corporate office? How long have you been studying the constituents that make up each oil? Established in 1994, we've been in business over two decades. From seed selection and chemical free cultivation, to proper distillation and testing. We have an unrelenting devotion to quality. Farms owned by the company, which you can actually visit. We grow the plants, distill them correctly, and send them directly to your door. ​Private support groups full of success stories from around the globe. Be part of a fun and exciting community of people helping people. Take the wellness challenge and see for yourself! Be part of a community of millions of people just like you, who have tried our natural ​products, and fallen in love, ​because they're simple, effective, ​and free of harmful chemicals. ​It's easy, and your health deserves it. ​for 120 days, and tape it shut! 2. Order the equivalent from Young Living. 3. If you don't fall in love with the new products after 120 days, open the box from step one, and compare the labels. ​Do you know what's in your current products? There are essential oils for alleviating minor aches and pains associated with daily life, helping with occasional stress or minor anxiety, promoting an emotional well-being and restful sleep, neutralizing odors, suppressing occasional muscle spasms, and supporting digestive function. * Even enhancing meals and drinks! Essential oils are used for things associated with aging like: hair loss, wrinkles, and other aging on the skin. Essential oils have been used to help maintain cholesterol and blood sugar levels already in the normal range, and can also help with upset/sour stomach. 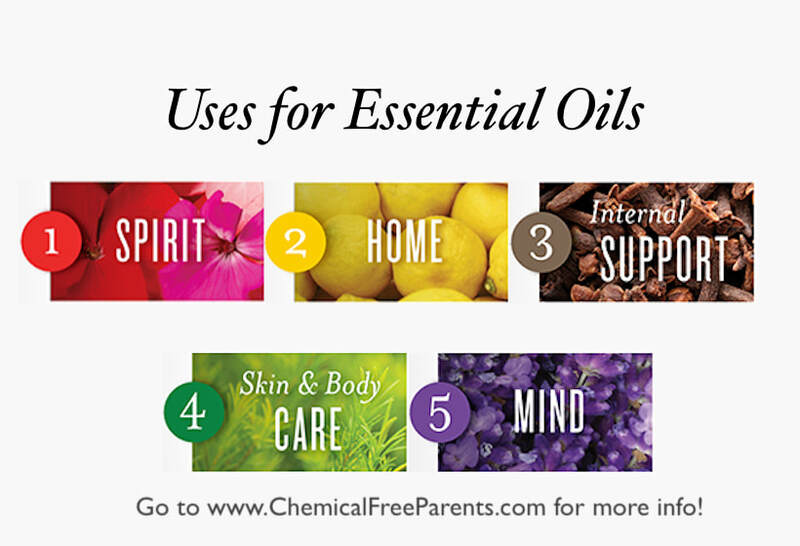 * Essential oils have been around since 3500 BC, so these are only some of the uses. View our available class options!